While technology has changed how we do our job as real estate agents and brokers, the why has remained the same. Buying or selling a home is an emotional journey, and people look for someone who genuinely understands their needs and their goals to help them through the process. 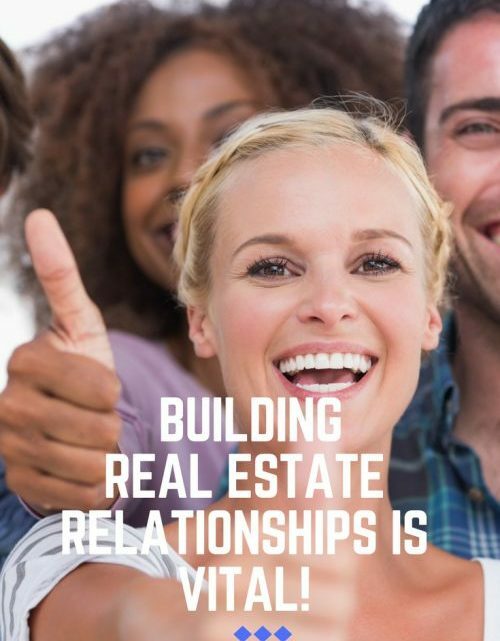 Building quality relationships is one of the pillars of success in real estate. In this article, we discuss the reasons why having quality relationships should be your primary goal and offer tips on how to capture those relationships. 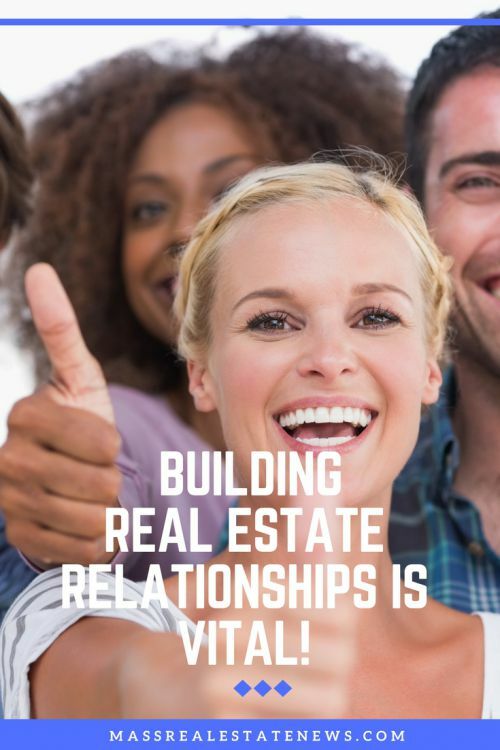 Business is all about building relationships, and the real estate industry is no exception. Those who build and nurture relationships eventually become some of the most successful agents and brokers in the industry. Creating quality relationships requires maintenance, just like how you maintain relationships with your closest friends. You don’t hang out all the time, but you keep tabs and contact each other frequently enough to keep the relationship healthy. Realtors that foster quality relationships and maintain those connections get far more referrals than agents who don’t. In fact, the National Association of Realtors reveals that on average, Realtors get 14 percent of their business from repeat clients and 18 percent of their business from referrals. The numbers tend to improve over time until experienced and well-connected agents receive a huge percentage of business from repeat customers or referrals. No relationship can ever flourish without trust. The same is true for the client/agent relationship in real estate. The 2017 NAR homebuyer and seller profile found that trust and honesty are the most important factors for buyers when choosing which agent to work with. The same report showed that 64 percent of home sellers rely on referrals when choosing an agent to work with, again showing that trust is a central factor. During a home purchase or sale, the client will also have to divulge confidential and personal details such as annual income, outstanding debt, credit score, etc. Clients will only feel comfortable sharing these private details if you create quality relationships with them. The quality of your relationship with one client influences other potential clients. Your clients can post reviews about their experience with you on sites like Zillow. With countless Realtors to choose from, testimonials and reviews help you stand out from your competition. 60 percent of buyers Google their agent. You need to get good reviews and that starts with creating quality relationships. When you prioritize quality relationships over commissions, you create impressionable moments with your clients. One perfect example of this is agents who practice dual agency, where they put their own interests ahead of their clients. Big mistake! Consumers meeting with agents who don’t think this way win the listing more often than not. Instances such as bringing a housewarming gift after a purchase and checking in on how your clients are settling in leave a positive impression. These moments will eventually find their way to great reviews about you and more clients choosing you as their agent or broker. Quality relationships do not come without effort. For starters, you need to find ways to generate leads before you can create connections. Once you have new prospects, you can use these tips to start building bridges. When you get a chance to see your clients face-to-face, do a quick research about them before the meeting. Over 40 percent of your new clients will come from referrals. You can ask the referrer a few questions about your prospective clients including their marital and family status, hobbies, interests, and usual activities. Get to know a little about their personal information and look for commonalities. Research is particularly useful for clients who wish to have breakfast or lunch with their agents. Talking about similar interests adds a personalized and human touch to the interaction. It also reduces tension, and helps build that connection between you and the client. Building bridges begins by genuinely reaching out to the other party. Your prospective clients have reasons for buying or selling a house. 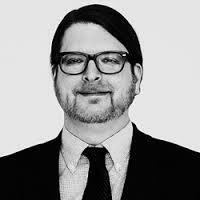 There is often a profound story that motivates people to consider making a huge transaction. For example, a millennial client worked hard for years to payoff his student loans, and now he’s ready to purchase his first house. Put yourself in his shoes to see his struggles – the long hours and the sacrifices he had to make to settle his massive debt. What could he be feeling now that he has overcome that and he’s ready to buy his first property? Get the story out of your clients and show empathy on where they’re coming from. This enables you to build rapport and sets the stage for a quality relationship. It’s great if you can meet all of your clients’ expectations, but if not, then it’s time to be open about it. You might be tempted to go for the Hail Mary because you have bills to pay. However, you’re better off referring your clients to someone who can deliver their needs. For example, if a residential client wants to suddenly look at commercial space, referring them to an experienced commercial agent would be the wise move. This helps solidify your reputation in the industry. More importantly, you free up your time to meet with clients who you can actually serve. People enjoy working with experts and are more likely to rely on them and refer them. Try to provide value to your clients every time you meet them. Are they looking for a fixer upper? Offer to connect them with that awesome contractor and interior designer you know. Do they have kids? Share local school ratings with them. Do they have a dog? Tell them which neighborhoods have the most green space and parks. Informing and educating your clients is better than trying to upsell them. Informing and educating your clients is better than trying to upsell them. Utilizing your expertise usually results in much greater client satisfaction and more referrals. A simple “Happy Birthday!” can go a long way in creating and maintaining quality relationships. While sending these notes by email is fine, taking the time to send a handwritten note will really make you stand out. If you complete a deal with clients, consider sending a thoughtful closing present that fits their personality or their new property. You can track clients and important dates using CRM software. A small act can sometimes make a big impact on your professional relationships. In the real estate industry, those who prioritize building and nurturing quality relationships with clients generate repeat business and referrals. These agents inspire the trust and confidence of their clients by building bridges and putting in the effort to stay connected. About the author: As a Real Estate Sales and Marketing Analyst at Fit Small Business, Emile is responsible for the editorial direction of the site’s real estate content as well as curating actionable insights from top producing agents and brokerages from across the country. A licensed New York City Real Estate Agent and veteran of the marketing department at Tishman Speyer, Emile has been involved in every aspect of residential real estate from brand new developments to rentals and resales. Emile also regularly provides market insights and commentary for publications like Realtor.com, Fox News, Yahoo, and US News & World Report. When he’s not writing or editing, Emile enjoys collecting vintage furniture and playing his guitar.